Around Makar Sankranti, it makes sense to visit Ahmedabad (Gujarat) for the International Kite Festival that is going to take place from the 6th of January to the 14th of January, 2019. Makarsankranti is celebrated with great fervour in all the cities of Gujarat and is the best place to visit around Kite flying as you’ll see a sky full of colourful kites and terraces full of excited kite-flyers. If you’re not too fond of kite flying, visit Bikaner (Rajasthan) for the Camel Fair that will be taking place on the 12th and 13th of January, 2019. Losar might not be a holiday for everyone around India but is definitely a holiday for those residing in Sikkim, Dharamshala and in the Ladakh region. The best place to spend this long weekend is Auli (Uttarakhand) for a skiing adventure. Tucked away in the Himalayas, you’ll see the Himalayan peaks clad in snow when you visit around this time. If you’re not living in the surrounding regions or don’t have a holiday, we suggest you to visit Kutch (Gujarat) as the Rann of Kutch festival also takes place around the same time so you can spend the weekend in the midst of the white desert while you soak in the rich culture of Gujarat. Given that the Maharshi Jayanti is not a holiday for everyone in India, you can consider visiting Nashik city for the Sula Wine festival where you can indulge in wine tasting and a lot of other fun activities. Another option is to travel to Udaipur (Rajasthan) and revel in the royalty of this Rajasthani city, there’s lots to do in Udaipur and is one of the best places to visit if you’re looking at picturesque holiday location. If you’re very fond of the festival of colours, you can visit the Vrindavan-Mathura region for an authentic Holi celebration in the Lord Krishna’s hometown. It is widely believed that Lord Krishna, along with Radha still celebrate and play Holi in Mathura every year. So grab some colour and get ready to colour the town in myriad shades while you gorge on some gujiyas and wash them down with thandi-thandi thandai. Not too big on Holi? There’s another option for you. You can visit Ooty to get a quick breather and live in one of the most beautiful cities for a weekend. Okay, this one’s mainly for people who have collected leaves over a period of time or have an amazing rapport with the boss. Make full use of the eight days and take off on a rejuvenation trip to Bali where you can sip on some cocktails, go for spas and party till the wee hours of the morning. If you’re looking for a getaway within India, visit Dalhousie for scenic views of snow-capped mountains. 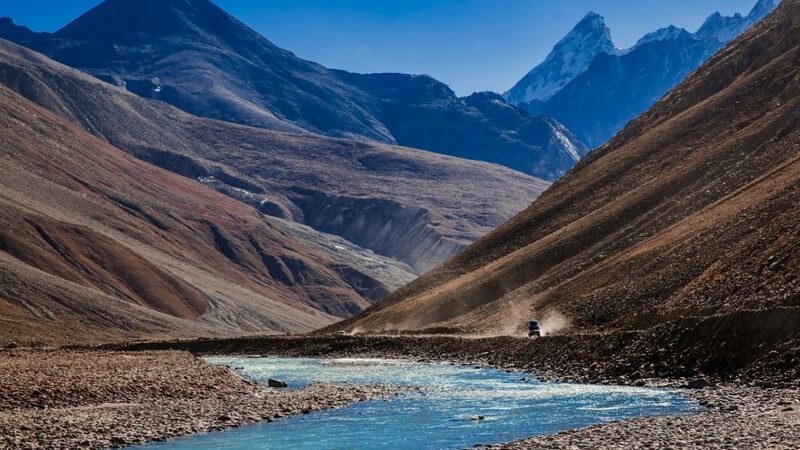 The best place to visit around this time is the Spiti Valley in the north-eastern region of Himachal Pradesh. The mountains and the views around the Spiti Valley will only make you want to extend your stay at Spiti. Go to Bir-Billing, the paragliding hubs in India. You can do a road trip to Bir from Delhi or if you’ve got a bigger budget, go to Bir from Dharamshala’s Gaggal Airport. If you’re not too fond of adventure sports like paragliding, Bir also has monasteries, local shopping and Tibetan food that you can enjoy. July is a good time to visit Kerala (South India) and sail through the backwaters of Kerala while it’s raining. You can sip on some coconut water and detoxify yourselves, then gorge on yummy rasam-rice, idlis and dosas when you’re in Kerala. Don’t forget to finish your meal off with traditional South Indian filter coffee. Again, another very long weekend/ week of holidays where you can go out of India and make maximum use the holidays. You can visit Vietnam for the rainforests and the limestone islands, try out the local Vietnamese fare when you’re in the region and you won’t be disappointed. Ganesh Chaturthi is a widely celebrated festival in all of India, especially in Maharashtra. Visit the nearby village of Ganpatiphule, Nashik or Igatpuri. Ganpatiphule is a good choice if you like beaches but if you’re in the mood for some wine, visit Nashik which is home to the best vineyards of the region including the Sula vineyards. Another weekend getaway option is Igatpuri, for nature lovers and for trekkers. If you want to indulge in the festive season and go for the Durga Pooja, we suggest you visit Kolkata. The Durga pandals at Kolkata are the best places to visit if you want to take off on a food soiree of sorts. These pandals have some of the best foods including puchkas (paani puris), fish delicacies, authentic Bengali sweets such as rassgullas, ras-malais, cham-cham and of course, the Bengali Sandesh. For Dusshera, consider visiting Mysore or Himachal Pradesh to witness the Ram-Leela being acted out by the village folks and even the Ravana Dahan. The best place to visit around this time is Pushkar (Rajasthan) for the Pushkar festival that displays about 50,000 camels decorated in colourful traditionally made materials. The Pushkar fair pulls crowds from all over the world, here you can witness some very unique competitions like the ‘longest moustache competition’, you can also enjoy regional performances by the women and men dressed in traditional Rajasthani costumes. Pushkar is the best weekend getaway for November. End the year on a high note (no puns intended) and visit Goa, the party capital of India. Goa has some of the best beaches, beach-side shacks and is the best place to bid adieu to 2019. You can grab breakfast at Baba Au Rhum, go to Baga beach to take a dip in the pool, shop at Goa’s night markets and eat dinner at Curlies before you hit the dance floor at Club Cubana. The last weekend getaway for 2019 should be happening, don’t you agree?